Indiana Data Center maintains a world class data center located in Fort Wayne offering an array of connectivity, data and information based services. The data center is strategically engineered for optimal performance, redundancy, security and up-time of your hosted infrastructure. In order to keep your business running flawlessly, we provide data recovery, technical support, managed services, IT support & consulting, office business solutions, IT solutions, and computer networking solutions. One security rupture is all it takes for you to lose your clients’ trust, your organization notoriety, or even your whole business! We’ll keep that from happening by going down your information and guaranteeing in the event that your whole business dormitory are wiped out in an assault or common calamity, your basic information will stay sheltered and recoverable so you can proceed with the same old thing in the line of flame. We are upbeat to report that your days of cerebral pains because of stressing over tape reinforcements are over! Using the most recent in reinforcement and fiasco recuperation advances, we give oversaw reinforcement answers that fit any size business. We offer arrangements from basic document based reinforcements to finish server picture reinforcements with off site excess. Protect your data with Indiana Data Centers server backup solution, manage it all with an integrated centralized management platform and choose how to backup your critical information. This ensures your data is always protected. Host your servers and IT infrastructure in an environment specifically engineered for optimal performance, redundancy, security and up-time. In the event that your facility becomes inaccessible, experiences an extended loss of power, or worst case, is destroyed, you can breathe a sigh of relief knowing that your servers, applications and data are alive and well at Indiana Data Center. Decrease planned and unplanned downtime for improved business continuity. Protect all of your important systems and applications with disaster recovery. Create a self-optimizing IT infrastructure today with the most widely deployed virtual infrastructure suite. Business continuity has become a vital ingredient of IT strategies in a world where businesses need to operate 24 hours a day. The disruption of IT services can be fatal to a business. VMware’s virtualization products give you the means to eliminate planned downtime, deliver high availability, and be better prepared for disaster recovery. In the event of an interruption from your facility, Indiana Data Center has created a stream-lined process to relocate your critical staff to our worksite recovery center, recover your mission critical data and reinstate your network and business applications. Our services provide your business the tools to resume operation in a matter of hours through a process that is virtually transparent to your customers. You hear a considerable measure about the cloud, yet is it the right move for your business? Possibly, perhaps not. The choice to move parts of your system to the cloud goes priceless, as your funds in one region frequently brings about all the more spending in another. Without setting aside the opportunity to evaluate your correct circumstance, it might end up being hard to figure out if cloud arrangements are the heading your organization ought to move towards. Similarly as with any IT choice in regards to your system, the initial step we would of our association is play out an audit of your present IT setup and have a more definite exchange about which cloud administrations would profit your business and decide the strategy for your particular IT needs. We do have our own particular in-house server farm and give a full scope of facilitating administrations to clients–many of which are incredible answers for organizations of all sizes. These facilitating administrations give the spine to our cloud benefit line offerings. Here is a rundown of our facilitating administrations and some of our other most basic cloud administrations. Powered by VMware, Indiana Data Center Virtual Private Servers are provisioned by creating a partition from a robust resource of physical servers. With a Virtual Private Server, you can get all of the benefits and control of a dedicated server, without the high cost. A Virtual Private Server runs as a dedicated machine with its own operating system. Indiana Data Center virtual Private Servers run in a high availability environment, meaning, any failure in the physical resource that the virtual server is living on will trigger a “hot” move of the virtual server to another available physical resource alleviating down time due to hardware failure. Customers are provided root level access to Indiana Data Center virtual servers. Indiana Data Center will provision the virtual server to the customer’s requirements along with the operating system chosen by the customer. With root level access and administrative rights, you can install any software, add users, reboot the server and modify the operating system to suit your needs. Your association relies on upon data frameworks to maintain the business, which is the reason a steady innovation foundation is fundamental in dodging intrusion or misfortune. 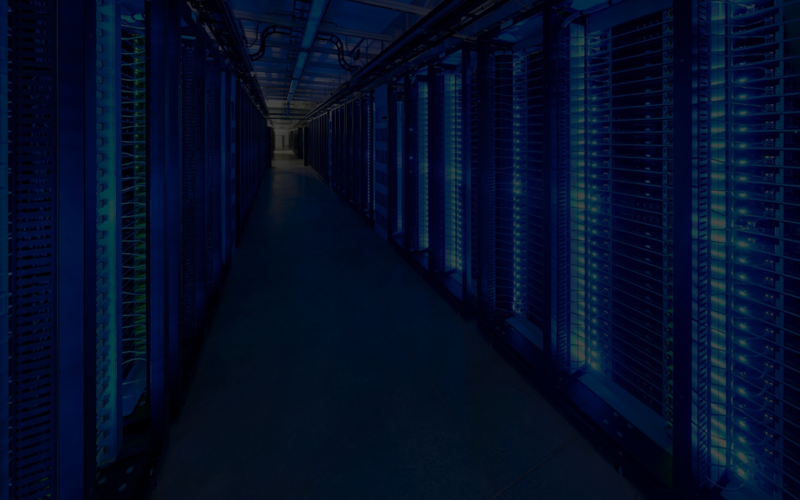 Our server farm counseling group will work with you to systemize and secure your information to guarantee the most elevated measures of honesty and usefulness for your system surroundings. We have the IT Consulting and Support services needed to keep your data safe and accessible. Information is the lifeblood of your organization and keeping that information secure and accessible to your staff and clients is critical to how your business operates. Indiana Data Center is designed to ensure high availability and security of your network and data. Host your servers and IT infrastructure in an environment specifically engineered for optimal performance, redundancy, security and up-time. In the event that your facility becomes inaccessible, experiences an extended loss of power, or worst case, is destroyed, you can breathe a sigh of relief knowing that your network, applications and data are alive and well at Indiana Data Center. Indiana Data Center has the resources your network demands! Indiana Data Center has incorporated disaster-resistant server rooms. You can take confidence in the fact that your servers will be housed in a “bunker” constructed of 6.5″ concrete walls and ceilings that resides inside of our building’s main structure of 6.5″ concrete. Indiana Data Center is a geographically secure location free from hurricanes, floods, earthquakes and tsunamis. Indiana Data Center is powered by a conditioned, 480V, three phase primary grid. Our on-site Diesel Generator provides continuous backup power in the event of a primary grid failure. Our parallel UPS system ensures a seamless transition from primary power to backup power. Each carrier has a diverse point of entry into the building. Most businesses can expect to see savings using an operational expense over a capital cost. With INDDC managed IT service we can cover your company with one fixed fee each month. Helping you budget and have less risk when it comes to planning your expenses. Using managed IT you can gain the benefit of having 24/7 support reduced downtime, network monitoring and preventative service 365 days a year. Having a dedicated managed IT service allows flexibility and protects you against small problems that can turn into major issues. Paying a consultant when an event happens can be expensive and can affect productivity while systems are being repaired. With INDDC managed IT solution we work together with our clients to keep their vital systems up and running. Our partners lower their operational cost and in turn, helps INDDC deliver an exceptional service. Business face challenges every day, whether it be improving the quality of their product or attracting and retaining new customers. One item that's easily overlooked is the protection and security of vital business data. Indiana Data Center helps our partners by offering an assessment that doses two things. One its give the customer a baseline of where they are now. Two it creates a road map to the future needs and security of our client. To help reduce the risk of data loss Indiana Data Center has come up with a program that not only brings back the health of our customer's network but creates an incredible security level as an added value. By having an assessment done and a solution implemented our clients can ensure that they are up to date on required regulation and standards for their industry. If you are looking to kick start your business, please sign up for free assessment today. To help reduce the risk of data loss Indiana Data Center has come up with a program that not only brings back the health of our customer's network but creates an incredible security level as an added value. If you are looking to kick start your business online, contact us now! Copyright 2017 © Indiana Data Center. All Rights Reserved.